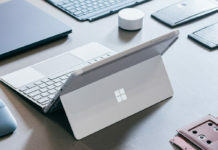 During the #MicrosoftEDU event Microsoft unveiled a new Surface Laptop which is aimed for “higher-education” students and professionals. While Microsoft had a event in Shanghai last month where they announced the New Surface Pro which is a refresh over the older Surface Pro 4. 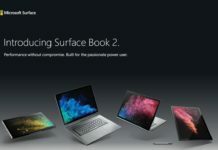 And today 2 new ads have been published on the Microsoft Surface YouTube channel which are 12 seconds long for both Surface Pro and Surface Laptop even though they are short they’re advertising their features pretty impressively. The first Surface Laptop will be available in multiple colors those are Platinum, Burgundy, Cobalt Blue and Graphite Gold. 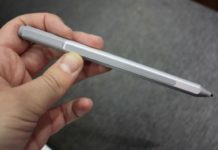 The device is 14.41 mm thick and weighs around 2.6 pound with a 13.4 inch Pixel Sense display with 3:2 aspect ratio.The device is powered by the all new Windows 10 S aka the Windows 10 Cloud. The device is powered by the Intel core i7, 7th generation processor. Furthermore it will have 4GB of RAM and 1TB of SSD storage. The Surface Laptop starts at $999 for the base i5/4GB/128GB configuration. Go here to buy. 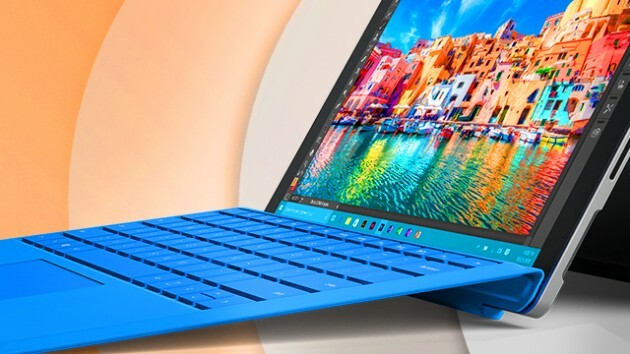 The Surface Pro is upgraded to Intel’s 7th generation processors Kaby Lake. The device also comes with a fanless Intel processors meaning more battery life and power output. 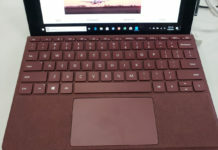 The company also claims that the new Surface is a refined version of the old one with 13.5 hour battery life, fanless design, along with softer rounder corners which helps bolster the narrative. 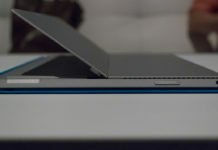 Go here to buy Surface Pro.